Shannon Wheeler was once just another ambitious cartoonist with some big ideas (and some small ones, too), a wicked sense of humor, a questioning spirit, and a coffee jones the size of a tanker truck. Who would have ever guessed that ten years later, he would have multiple volumes of critically acclaimed cartoons under his belt and a rich, satisfying career? 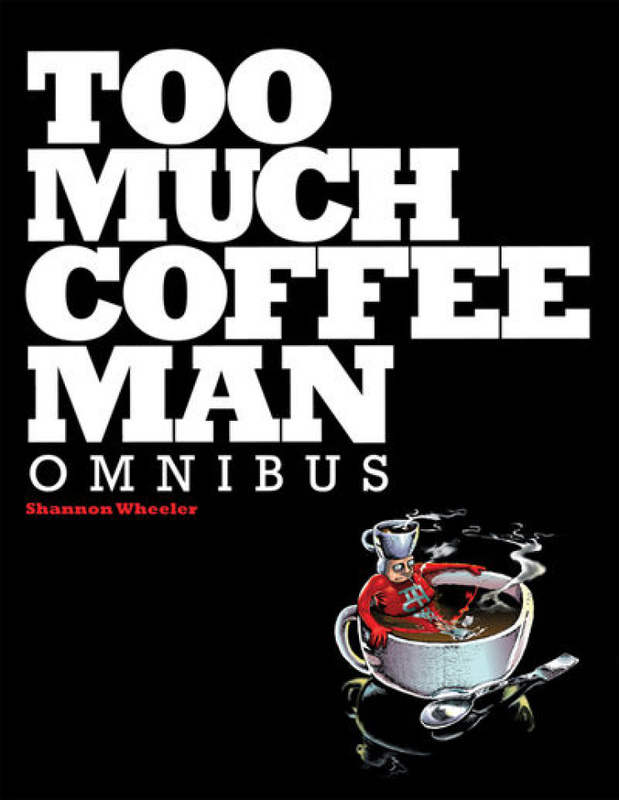 Too Much Coffee Man Omnibus gathers all of the cartoons from four hilarious volumes of work, bringing together all of Wheeler's signature satire and sweetness in one convenient package. Essential for Too Much Coffee Man fans, and sure to convert new ones! Shannon Wheeler, the recipient of multiple awards, began cartooning in the late 1980s while studying architecture at UC Berkeley and has worked in animation and illustration. Too Much Coffee Man, as a comic, has appeared internationally in newspapers, magazines, comic books, and graphic novels. Dark Horse Comics has published five graphic novels that collect most of the work. His weekly strip Postage Stamp Funnies appears in the print edition of The Onion. 2006 saw the production of a Too Much Coffee Man Opera at the Portland Center for the Performing Arts. It's the first opera to have been based on a comic book. * Too Much Coffee Man Omnibus collects four classic Too Much Coffee Man volumes-TMCM: Guide for the Perplexed, TMCM: How to Be Happy, TMCM: Parade of Tirade, and TMCM: Amusing Musings. * The omnibus format promises an extra-tall helping of laughs for a great price!